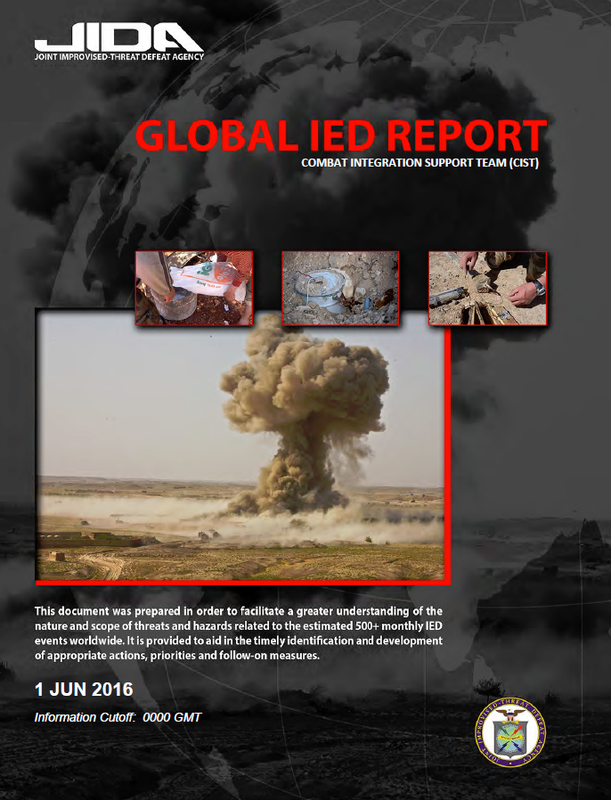 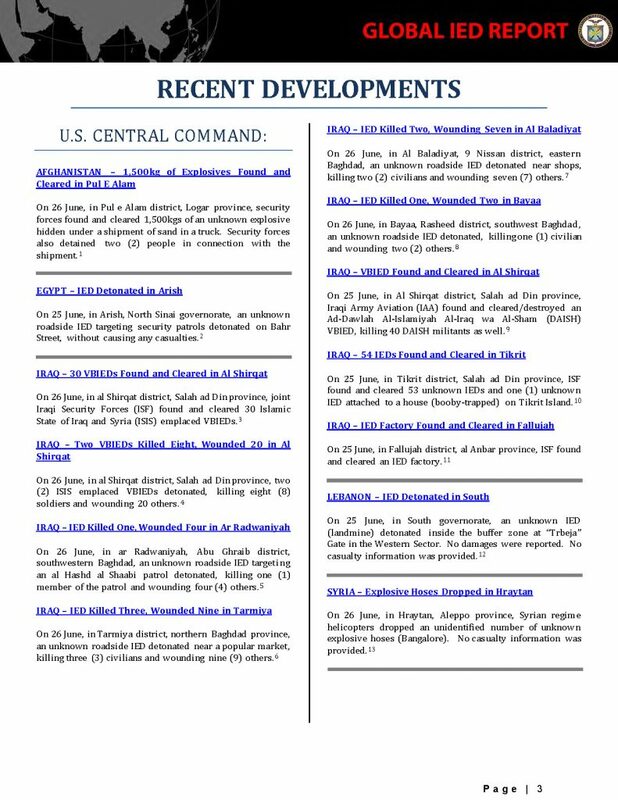 The following is a collection of all Combat Integration Support Team (CIST) Global IED Reports for the month of June 2016. 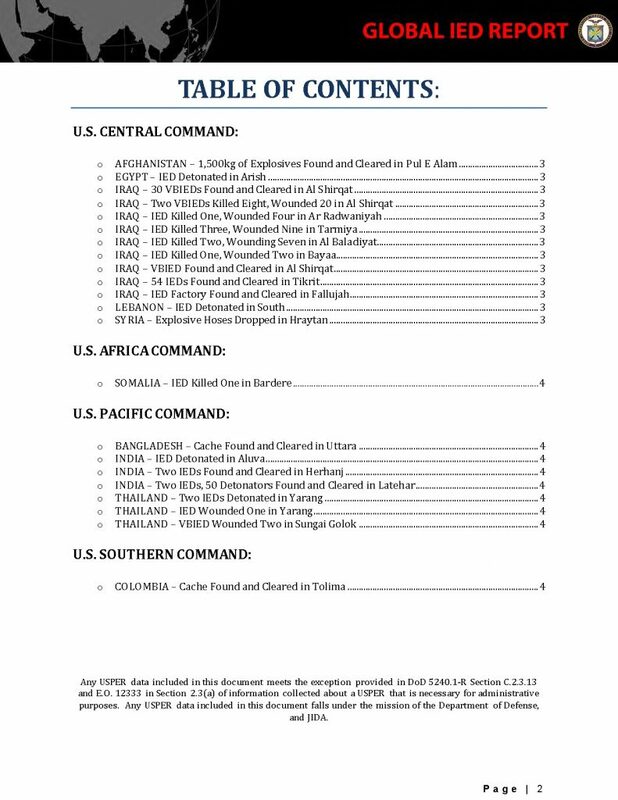 The reports are produced by the Joint Improvised-Threat Defeat Agency, formerly the Joint Improvised Explosive Device Defeat Organization (JIEDDO). 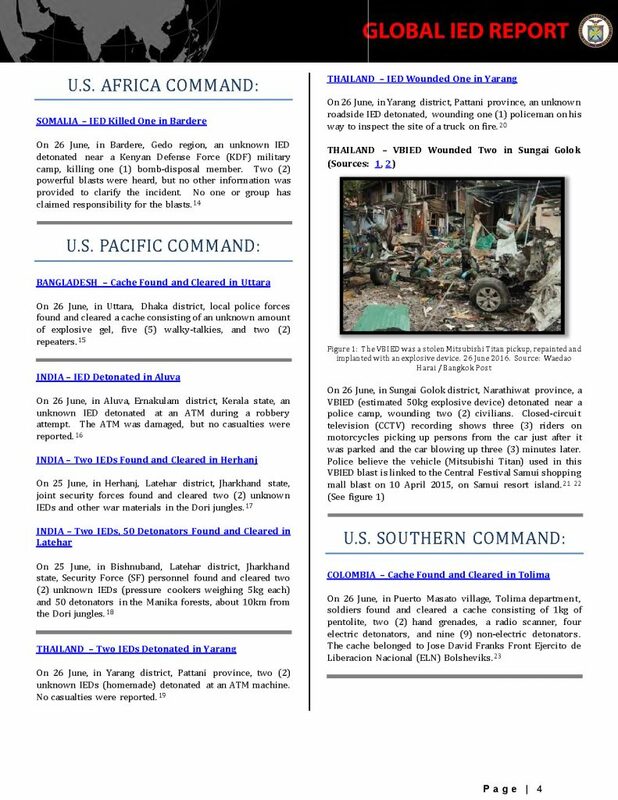 The reports were obtained from the website of the NATO Counter Improvised Explosive Devices Centre Of Excelence, though they are not normally distributed publicly.